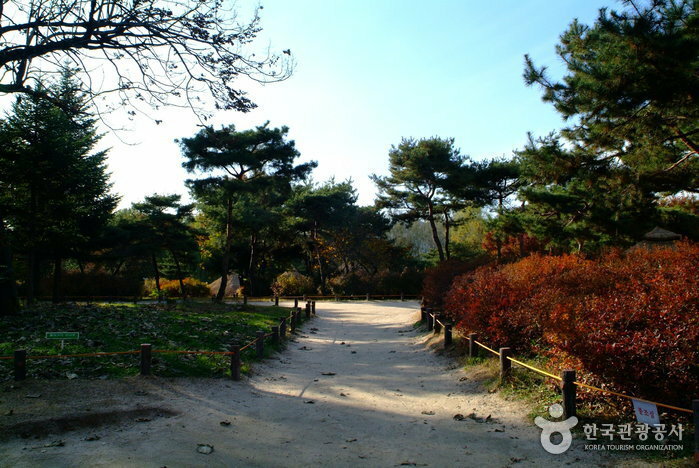 Amsa station (Seoul Subway Line 8) Exit 1. Walk straight for approx. 15 min. 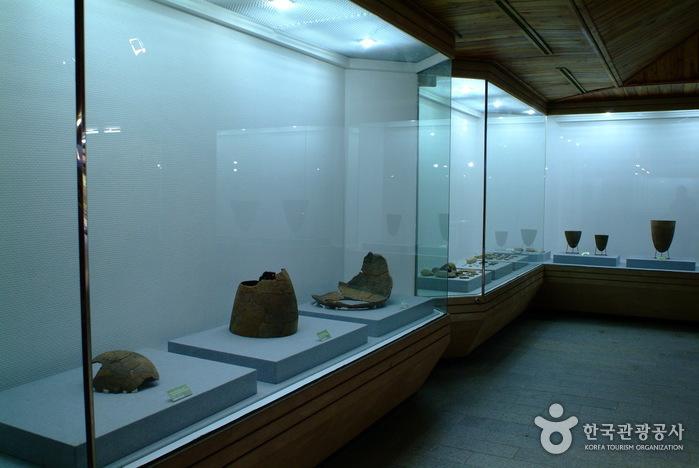 to Prehistoric Settlement Site. Take Bus No. 02 and get off at Amsa Prehistoric Settlement Site Bus Stop. 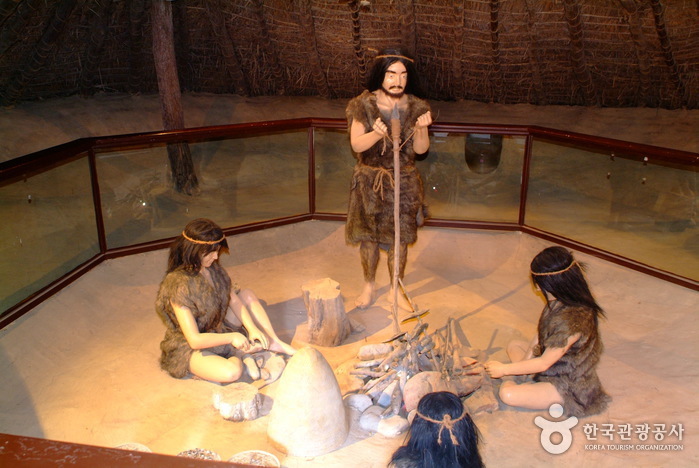 Amsa-dong Prehistoric Settlement Site reproduces the lifestyle of the Neolithic Era (7000 B.C. 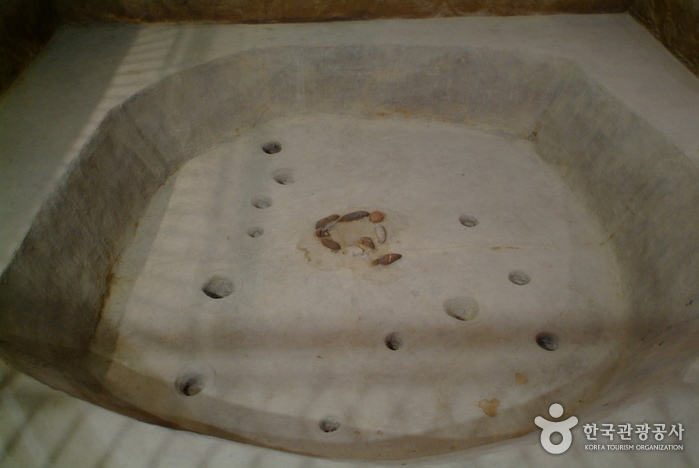 ~ 1000 B.C.) 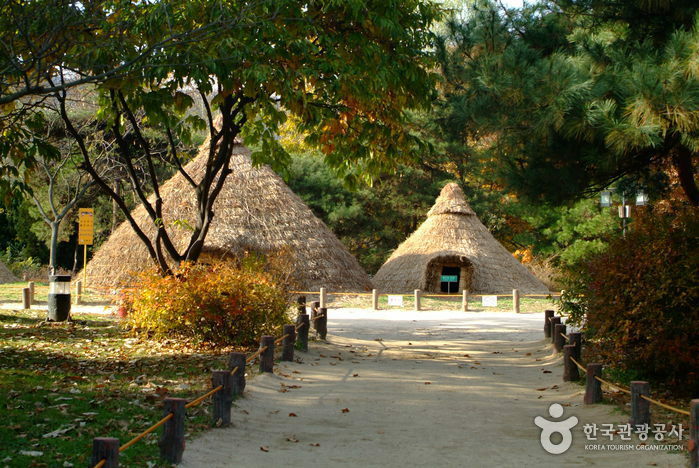 Even the entrance gate is shaped like a huge dolmen and the trashcans are ancient diagonal-line patterned earthenware. 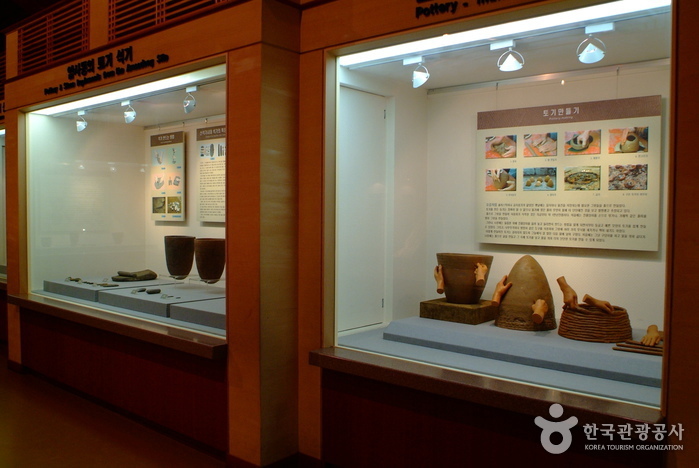 Amsa-dong Prehistoric Settlement Site was excavated in 1925 when a flood washed away the soil on the banks of Hangang River and exposed a large number of diagonal-line patterned earthenware. 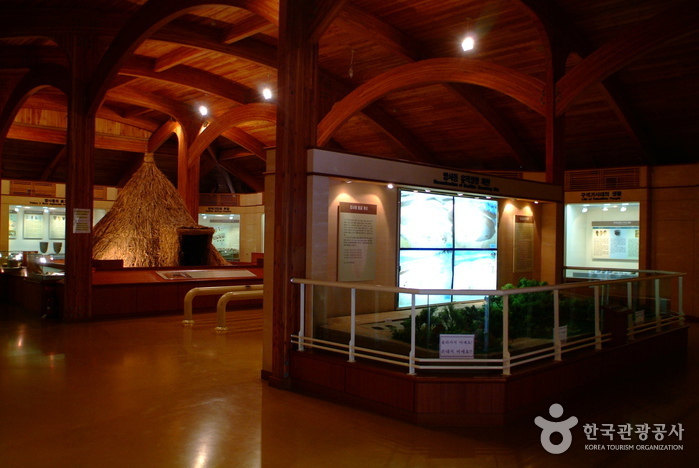 After several excavations, the Amsa-dong Prehistoric Settlement Site was established. 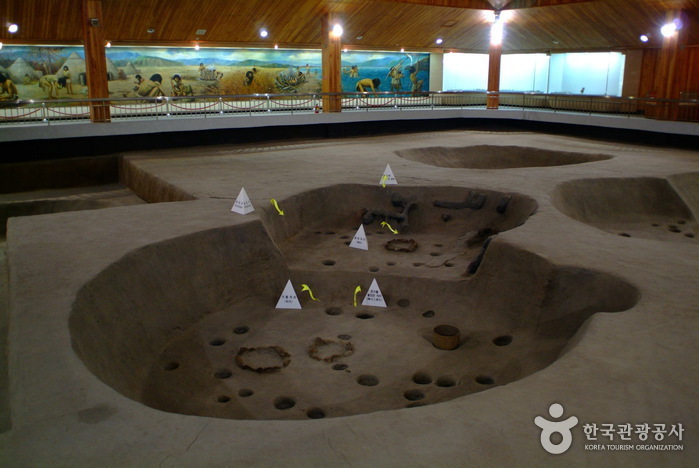 The site was a location for a massive colony of primitives, thus many ancient buildings, stone axes and stone arrows have been uncovered as well as countless diagonal-line patterned earthenware. The housing site is round with a spot in the center for fire. 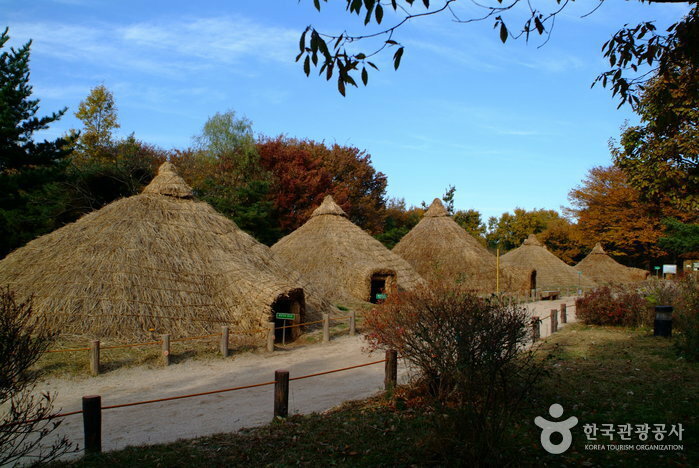 The site is colossal and possesses nine mud huts, two exhibition halls displaying ancient artifacts and an open mud hut where you can experience life in the Neolithic Era. 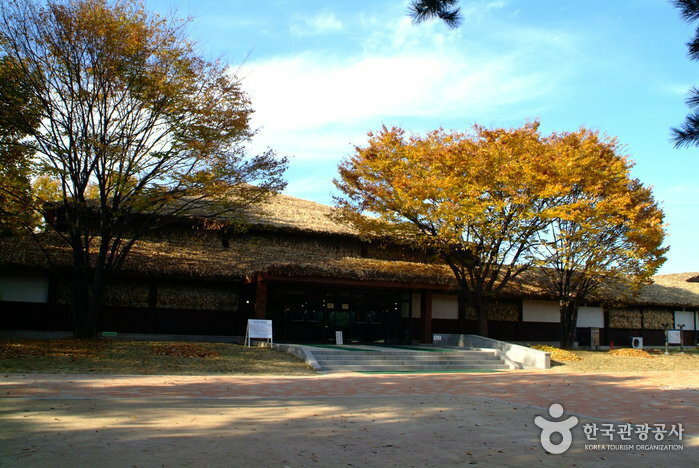 The site offers many attractions such as mud huts and promenades. 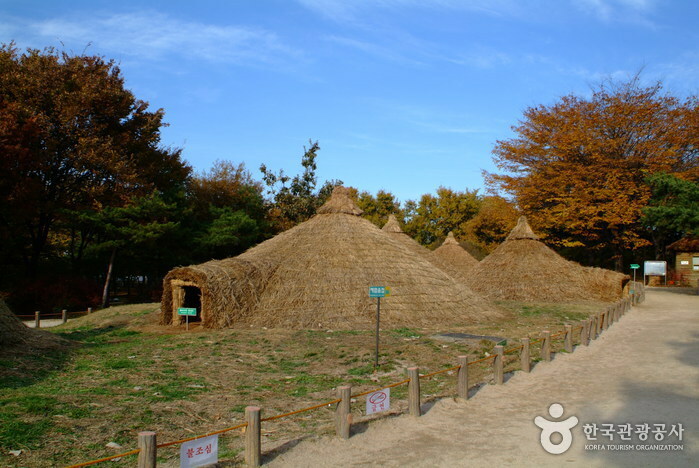 Amsa-dong Prehistoric Settlement Site is also very educational for children and families who want to learn and experience the Neolithic Age.